Playing any form of 5-a-side soccer is a great way to get fit. In fact, in comparison to jogging and even the full 11-a-side game, 5-a-side comes out above both of these in terms of the benefits it offers. Just look at the evidence – even if you think you’re an old pro at 5-a-side and Futsal, some of the results might just shock you! Let’s start with just soccer in general, before we move specifically to 5-a-side. Back in 2010 there was a study done by Prof Peter Krustrup and his team, from Copenhagen University, which looked at the benefits of soccer as a fitness tool. It found that soccer as a whole provides a broad spectrum of health and fitness effects that are at least as pronounced as for running, and in some cases even better. Soccer forces you fit! There are so many health benefits to it, not to mention mental benefits too! For instance, one study asked 47 men with high blood pressure to either play soccer or to run for an hour twice a week for three months. It turned out that playing soccer was the smart move, because those who played it saw their blood pressure fall by an average of twice as much than those who decided to run – even despite the frustrations that competitive team sports can occasionally throw up! Weight loss between the two groups was fairly similar, but cholesterol levels fell in the soccer group – an effect not found in the running group. Another study even found that bone density increased twice as much playing soccer as in running. A clear victory for soccer but the benefits don’t just stop there. Not only does soccer offer greater physical benefits versus running, but it also proves to be a much more effective mental release too, according to yet more of Prof Peter Krustrup’s research. They looked at 6 groups of men and women playing soccer and found that all of these groups experienced an overall high level of flow during the experiment. If you’ve not come across the term ‘flow’ before, it’s essentially the optimal state that arises when you are fully immersed in a challenging task. It is the feeling you get when you are fully focused, engaged, motivated and happy in whatever the activity is that you’re doing. Psychologists believe that regularly experiencing flow is key to living a happy life (a point really well made in a book by Paul Martin: Making Happy People). You want to get as much healthy ‘flow’ experience as you can, so getting it through soccer whilst also getting fit is a win-win situation! The inherent challenge, the dynamic nature of the game and the unique puzzles it presents us with, makes soccer a game that should require your concentration, making it as much a mental work-out as it is physical. In short, soccer requires us to engage and use our brain much more than just pounding the pavement with our feet, as we would do if we were just jogging. Research shows that soccer reduces worries, compared to jogging. 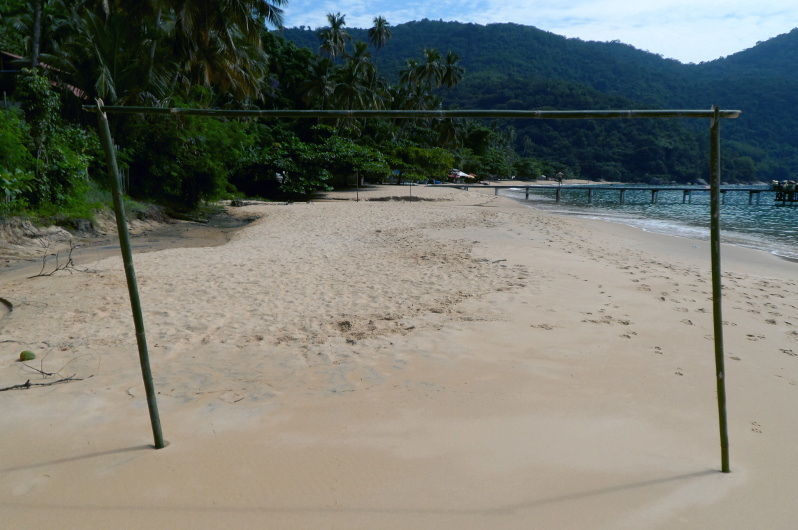 Relax on the pitch and enjoy it – as if you’re on the greatest pitch in the world, which I spotted on holiday in Brazil! Another strand of the study showed that women who took up soccer stuck at it more than their counterparts stuck at running, which could probably be attributed to the social side of it, being part of a team, as well as just having fun – all useful experiences that enhance motivation. 5-a-side is better for you than 11-a-side! The above benefits are common to all types of soccer, but it turns out that 5-a-side is even better for you than the full 11-a-side game. It juices up the benefits even more! A higher number of intense actions both for men and women. It’s not hard to understand why the above effects arise. The reasons are tied in with many of the reasons which make 5-a-side versions of the game so much better to play than full sided soccer in the first place – we covered many of these reasons already in our post why 5-a-side is better than 11-a-side. It boils down to the simple fact that 5-a-side is more intense, keeps you more engaged and gives you more action (especially those all-important touches on the ball). The results are startling. Even though the 5-a-side game is only 60 minutes, players run nearly 80% of the distance they would have run over a full 90 minutes of 11-a-side. But in terms of the distance covered at high intensity, that’s almost exactly the same. 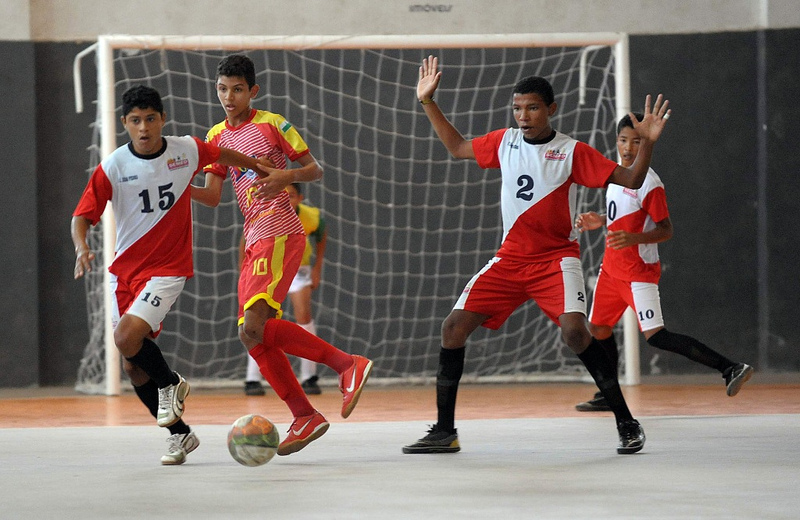 From a pure enjoyment and value for money point of view, you spend a lot less time standing still and get nearly 4.5 times the number of touches on the ball, which has got to be a key reason for playing. 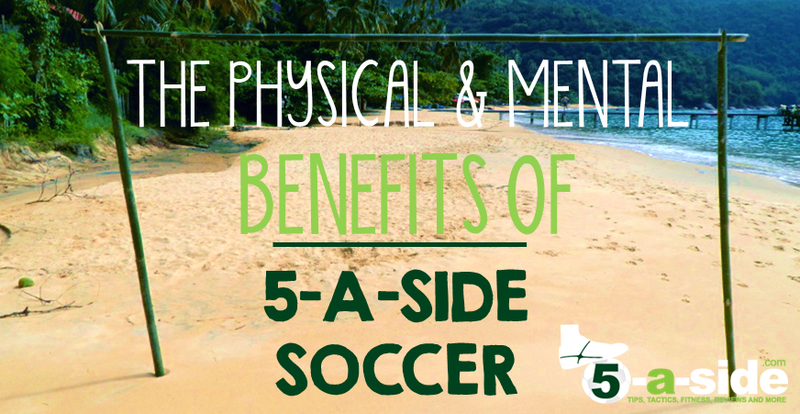 5-a-side soccer is an incredible game for developing and maintaining physical fitness. It has been proven to have advantages over simple jogging or gym work for general fitness, as well as lowering blood pressure and cholesterol. Beyond that, it also has mental benefits and can significantly contribute to a player’s mental wellbeing. And apart from all of these benefits, it’s a lot of fun and, if you love your soccer it gives you the most intense experience, with the most touches of the ball and most value for money that you can get. No wonder the game proves so popular with millions of people all over the world. What can 5-a-side players learn from a top sports psychologist? Very good article. The key to 5’s is your ability to constantly meet and stretch your VO2 max levels and switching your body from aerobic to anaerobic respiration. Constantly pushing these levels is where you will see the greatest increases in your baseline fitness. With running (especially long-distance) you are less likely to be hitting your VO2 max so although you can extend your endurance levels, you never hit that point of anaerobic respiration. Good point. We’ll be touching on fitness in more depth over the next few articles, so hopefully we’ll explore that more! Jogging never did it for me as a way to train for football.